December 28, 2007 was the three-year mark for the existence of the William and Anna Heath family. Happy anniversary to us! We didn't get to do anything tremendously exciting for it, we actually ended up playing guitar hero as the highlight of the day, but it's only our third, cut us some slack! William gave me a beautiful Venetian glass heart necklace, which came with a leather band. Not only was it sweet, but I later looked up the "traditional anniversary gifts" chart and found that traditionally the third anniversary is the leather anniversary, but on the modern chart it's crystal/glass. Bonus points to Will for unknowingly accomplishing both! Year four is supposed to be fruit/flowers traditionally, or appliances on the modern chart. Totally looking forward... I love fruit. This video is of my favorite Guitar Hero song. Someone passed it with a perfect score on the expert level and posted it to YouTube. I really just like the melody. Everyone in our family wrote a thank-you letter, which is where all the captions on each page come from. The letters in full were included in the book given to Grandma on Christmas eve. Yes, I realize there are many typos, but I won't be able to fix them until I get my own digital scrapbooking software. Unfortunately, I couldn't find the camera on Christmas day, so I don't have any pictures, but maybe when I do find it I'll take a picture of Molly with her Christmas present, a squeaky toy. She loves squeaky toys so much that she usually destroys the squeaker within a couple of days. I had forgotten about this and didn't realize that any time she wanted to play she would grab her toy, come right up and stare straight at me and "squeak squeak squeak" until I gave her some attention. Oh well, it's only a matter of time before this squeaker goes out, too. Update: I did it! I graduated! I think I officially graduated with my Associates in Culinary Arts yesterday. I didn't go to graduation, though, so I'm not completely sure. Have I Mentioned That I Love My Job? Okay all you people with cute kids, check out what my kids can do! One of the classes at school wrote us some letters. Most of the time the kids will call me "Lunch Lady," as in these letters, and sometimes they'll just call me "Teacher." I love it when they call me either. This has been a pretty wonderful time, for sure. First off, Will decided to grow a goatee along with a coworker. It lasted for about a week, and I got a picture just before he shaved it off. It's not that he doesn't look handsome with facial hair, and he does like the fact that when you have more hair on your face, that's less to shave, but ultimately he lost a lot of kisses when he had a scratchy face- mistletoe or not. The snow has been amazing. I don't remember it snowing like this for years. Lots and lots of the white stuff. Molly loves it. I don't think there is another time of year where she wants to spend more time outdoors- which is sad because it's the exact opposite for me. Will's work Christmas party involved a lot of bowling. The company (plus spouses or other invited guests) took up 6 lanes, and we all got to wear Santa hats. I tried to take a lot of pictures, but because people are always moving around when bowling, most of them turned out blurry. The only one that really came out okay was this one of Megan Itri (who works with Will and also happens to be my sister) and her hubby, Todd. Aren't they cute? Okay, I know I said that we wouldn't have any more pumpkin-themed blogs this year, but I lied. You see, we've had this pumpkin on our porch since before Halloween, and it hasn't softened or rotted or anything. I think it might have helped that the outdoors has rotated between refrigerator and freezer temperatures, but I finally got around to carving a jack-o-lantern. Yes, I did try to make it relevant to this season. It's the holiday season. Do you feel stressed? I like to relax by reading or listening to something soothing. My most favorite thing to listen to is, unlike most people, not music. 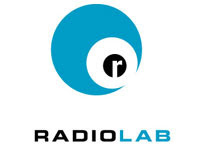 I love listening to talk radio, especially NPR shows like "Wait Wait, Don't Tell Me" the news quiz, and "This American Life" a show of stories that happen in America, and most especially, "Radio Lab" which is most entertaining as well as informative about tons of different subjects. Here's a link to an episode on stress. The episodes are an hour long, but if you need to take a short break, I think the website breaks it down into smaller segments.